Some Xperias aren't created equal? Those with newer Sony Xperia devices can already rest easy knowing the latest version of Android is on the way, but the manufacturer is decidedly less certain about the fate of several older models. Xperia Blog reported this week that Sony Xperia SP owners now appear to be a lock for Android 4.4 KitKat, with a support page suggesting the handset will receive the update with a "future version" yet to be announced. 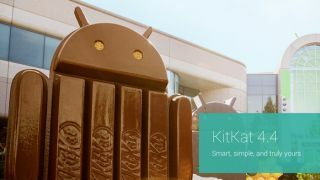 A number of other Xperia devices are simply listed as "under investigation" for a possible KitKat update, suggesting Sony hasn't quite made up its mind about which will receive the new Android OS. Earlier this month, Sony did confirm five models guaranteed to receive KitKat in early 2014, specifically the Xperia Z, Xperia ZL, Xperia Tablet Z, Xperia Z Ultra and the coveted Xperia Z1. The unlucky devices whose KitKat fate remains as yet unknown include the Xperia T, Xperia TX, Xperia V and Xperia ZR, all of which are presumably being vetted internally to determine their viability for the latest and greatest version of Android. While those models are already on deck for a Jelly Bean update next month, Sony doesn't seem in any particular hurry to bless such relative old-timers with the KitKat brush quite yet. But don't get cocky quite yet, Xperia SP owners - Sony remains mum about exactly when KitKat could arrive on your devices, and we're guessing it will be later rather than sooner. Xbox One who? Check out our full review of Sony's PlayStation 4!